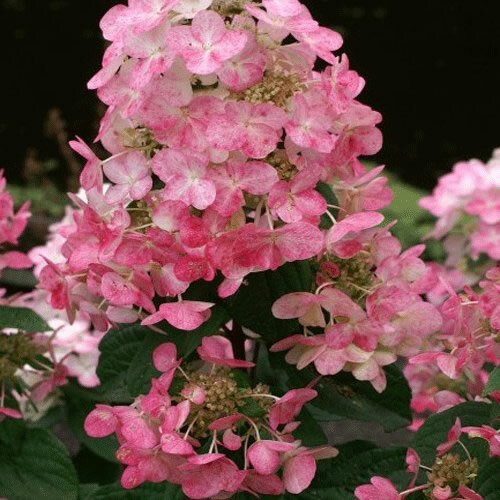 A delightful new variety bearing large panicles of white blooms held upright on reddish stems against bright green foliage creating a very striking specimen for any garden. The plant retains its neat and compact form throughout the season, whilst the flowers develop a pink flush later in summer deepening to vivid cerise and fiery reds towards autumn. Fully hardy and suitable for full sun or partial shade and any moist well drained soil.